The India coach insists his team must focus on making the most of their strengths. 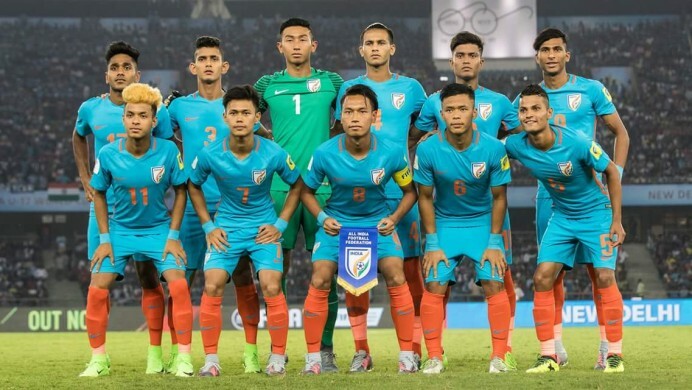 After an opening day heartbreak against the United States of America, Indian Colts are set to start against South American powerhouse Colombia tomorrow in Delhi. 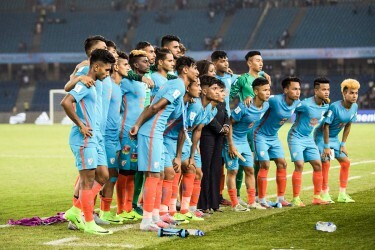 With the previous experience of playing against the Latin Americans a couple of months before in Mexico, the Indian gaffer described the game to be tough for the Indians. The game against the USA saw the Indians struggling in the first half but in a fighting spirit in the second. Keeping in mind the performance of the Indian team in the second half, Matos said, “We are going to fight for a result. I know the mentality of these players and they will be fighting through the end of the ground,” he added. “I don’t like giving excuses of the referees but I understand the angle they have can be wrong for him, his vision,” he later elaborated his views. “They are very strong, they can score two goals,” the Indian gaffer went on with his take on the Colombian U-17 team. “I expect Colombia to be very, very strong,” he later added. India conceded a goal from a corner against the USA on Friday. Pointing out to the outcome, Matos made it clear that he already knows how Colombia operate and score. “They don’t score goals in normal ways. They score through corners,” he said. In spite of praising the Colombian side, Matos also raved on about his own side saying, “We are very organized and I think we can keep this concentration.” “We must lead with our strongest points and our strongest points in this moment is our wingers,” he concluded. India will face Colombia tomorrow at 8 pm at the Jawaharlal Nehru Stadium in New Delhi.